Indonesia’s Regional Strategy: Quo Vadis, Economic Interests? Eine konsolidierte Demokratie in Thailand? Johanna Hartz-Goiteom is regional director for “South & East Asia” and member of the Impact Group EU-ASEAN Perspectives. Johanna is currently in the second year of the double degree master’s program Public Affairs and Management at HEC Paris and Freie Universität Berlin. She received her bachelor’s degree in Economics from the University of Mannheim and studied one semester at the Chulalongkorn University in Bangkok. She wrote her bachelor thesis about the educational attainment of children with a migration background in Germany. 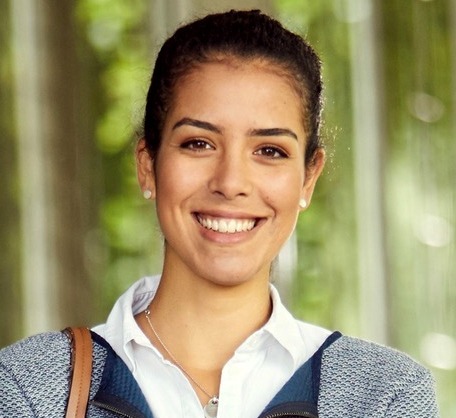 Johanna has gained practical experience though internships with consultancies, the Indo-German Chamber of Commerce in Mumbai, the Federal Foreign Office in Berlin and the Centre for European Economic Research (ZEW) in Mannheim. Johanna speaks German, English, Spanish and is learning French.